As part of a national effort to raise awareness about the medical benefits of cannabis in treating illnesses related to war trauma, a education and awareness campaign is coming to the District of Columbia’s McPherson Square park on Tuesday, April, 3rd, 2018 at 12:00pm, until the organized rally on at the White House, at 4:20pm. This event is open to all veterans around the country, with a special invitation to local veterans to come and join the open mic to share the stories. 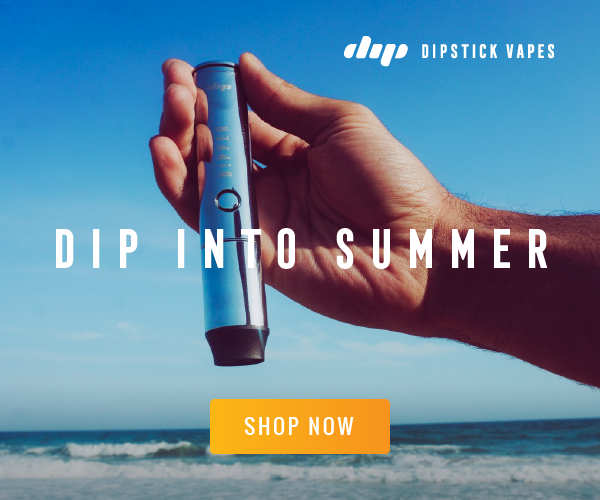 The educational awareness campaign is sponsored by DCMJ, DOPEFEST in the 2018 “Bring It Home” campaign for Vets. 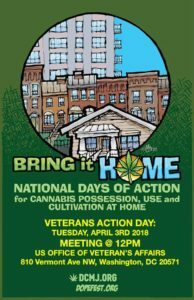 The Veterans Protest April 3rd was chosen as an appropriate topic for the DCMJ three day educational and awareness “Bring It Home Campaign”. Starting at 10AM on Tuesday, April 3rd, DCMJ, DOPEFEST, hosts the Veteran’s of the protest, On the same day, DCMJ and DOPEFEST will lead an on-site petition rally outside of the Department of Veteran Affairs headquarters to disseminate information highlighting the dependency of the situation and highlight how citizens can enact lasting change in veteran’s healthcare. The joint teams will return to the home base and remain on vigil throughout the night educating, fellowshipping & sharing experiences with service members, veterans and supporters alike. At 3:40PM the protesters will leave from McPherson Square and walk up to the gates of the White House. Upon arrival, participants will have a creative demonstration with pill bottles collected from veterans of USA onto Pennsylvania Avenue, in memory of their brothers and sisters whose sacrifices did not end on the battlefield. The final reception will once again host guest speakers, members of the press, and most important, veterans revealing how cannabis therapy has assisted with their war trauma and improved the quality of life. 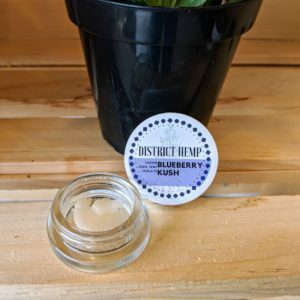 This awareness campaign intends to build public awareness about the U.S. Department of Veterans Affairs (VA)’s refusal to allow cannabis therapy as a treatment option for WAR TRAUMA and TBI (traumatic brain injury.) The campaign is seeking an alternative treatment path away from the harmful pharmaceutical narcotics now commonly being prescribed to afflicted vets that lead to addiction and suicidal tendencies. An estimated 22 veterans a day, or 8,000 annually, commit suicide as a result of war trauma, up from a low of 18 per year in 2007, according to a 2016 VA Suicide Data Report.